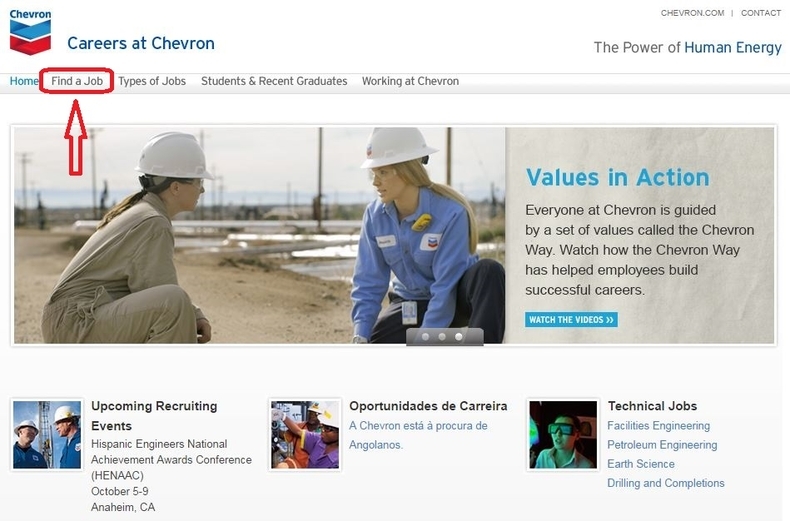 Go to chevron.com/careers or careers.chevron.com to land on the career page and click " Search Jobs" as the picture shows. 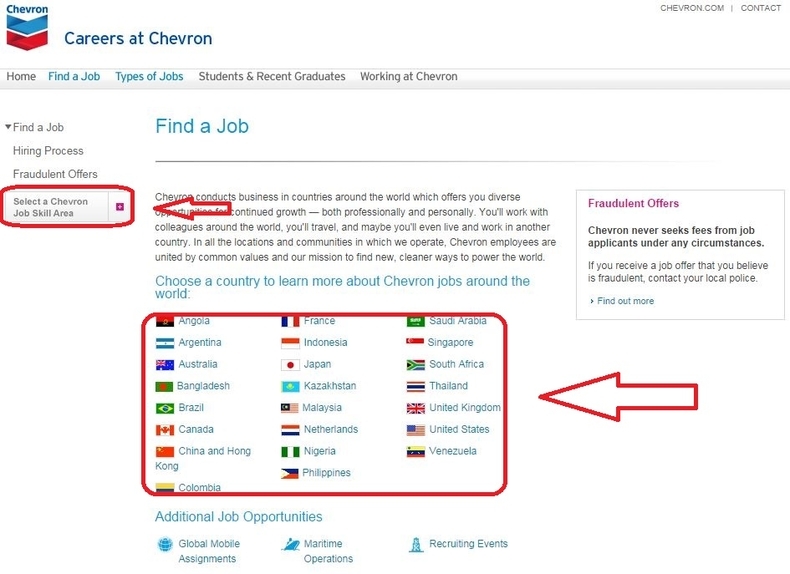 To quickly find the exactly position you are interested in, you can choose a country or select a job type by clicking "Select a Chevron Job Skill Area". 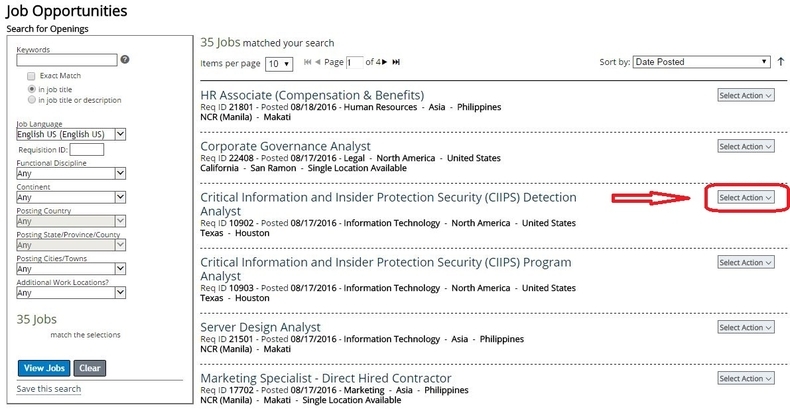 Enter keywords in job titles or description and select other items to narrow the range of your selection. Or you can click "View Jobs" to be entered into the job openings list page. Browse the job openings list and select the position you are going to apply for. Move your mouse to "Select Action" at the right side of the job title and then the "Apply" button will pop up. You can click the button to start your application. To continue your application, you need to login with your Chevron account. If you are not a registered user, you can click to create an account to apply for the career opportunities. First of all, you need to complete as many details as possible about yourself in your online profile. The required information is marked as asterisk. Answer a few questions listed on the page and click "Apply" to submit your application. Click chevron.com/careers to apply for Chevron jobs online.